Find your new favourite in this year's WOW Hits release. Featuring new music from Hillsong, Lauren Daigle, Rend Collective & more. Love the huge variety in Christian music? Your new favourite music awaits! Every year WOW Hits combs the world of Christian music to showcase the artists and songs that stand out from the crowd. From big names like Hillsong United, Chris Tomlin and Third Day, to newer artists like John Baldwin and Pat Barrett whose solo releases took the scene by storm. The WOW Hits 2019 Deluxe edition features 36 amazing songs over two CDs, and will help point the way to tomorrows leading Christian musicians. Whatever your taste in worship music, this year’s WOW release has got you covered. Love something folksy? It’s got new music from Ireland’s own Rend Collective. Want something a bit heavier? Skillet are back with new music! Love powerful vocals? Don’t miss the supremely talented Lauren Daigle. A banquet of Christians hits, WOW 2019 displays the limitless, God-given gifts on offer today. So what are you waiting for? Your new favourite music awaits! WOW Hits 2019 Deluxe CD was published by Capitol in October 2018 and is our 60th best seller. The ISBN for WOW Hits 2019 Deluxe CD is 0602557890167. This is such a wonderful collection of amazing songs. I love it, it is so inspiring. I buy the WOW CDs every year and they never disappoint! My Christmas present to me this year. I fell and had to have a replacement shoulder, so I'm much less mobile for a while. Every morning, I hit play as soon as I wake up; every night I fall asleep listening to it! There's a song for every mood, keeps me worshipping. Got a question? No problem! Just click here to ask us about WOW Hits 2019 Deluxe CD. Are all the songs from the original artists and performed by them or cover bands? 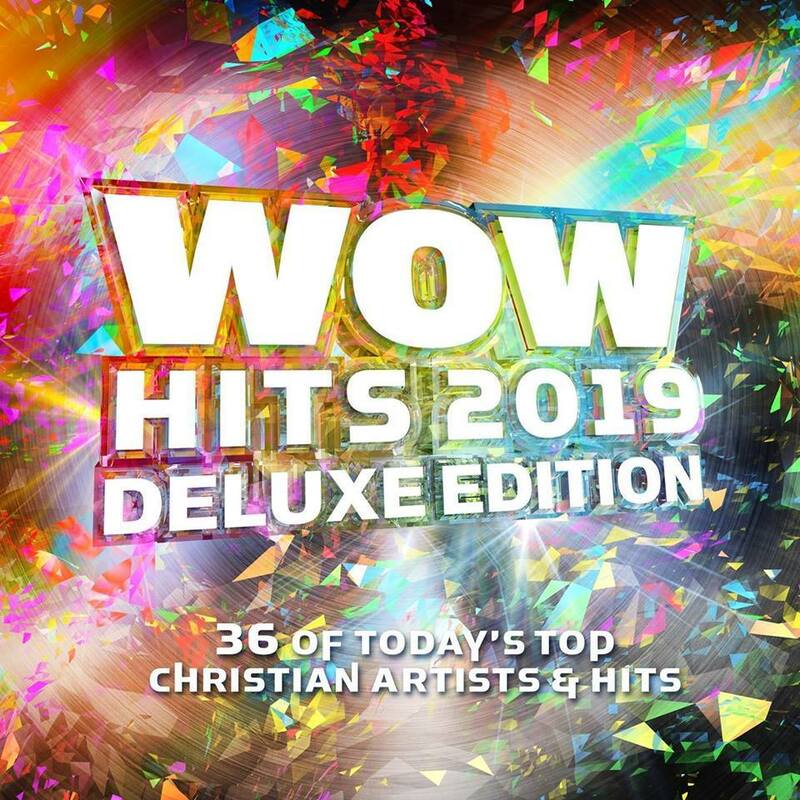 Straight from the radio to you WOW Hits 2019 Deluxe Edition brings you the biggest Christian artists & songs! With songs about Gods love for us, trusting God to carry us through the difficult times, and being a light to the world. WOW Hits 2019 Deluxe Edition captures the songs impacting our world today. WOW Hits 2019 Deluxe Edition features 36 uplifting songs on 2 CDs (6 more songs than the standard edition), plus 3 bonus songs from up-and-coming artists. 36 of the Biggest Artists 36 of the Best Songs (Plus 3 BONUS Songs) All In One Place WOW Hits 2019 Deluxe Edition. If you buy just one Christian Music CD a year, this is it! Now Playing: Grace Got You Your browser does not support the audio element.